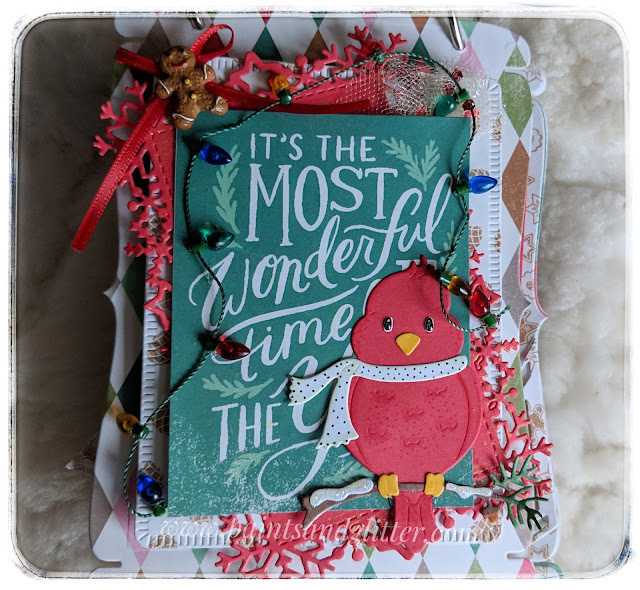 The Christmas season has begun, and this year I'm making a December Daily to go along with celebrations and memory making! 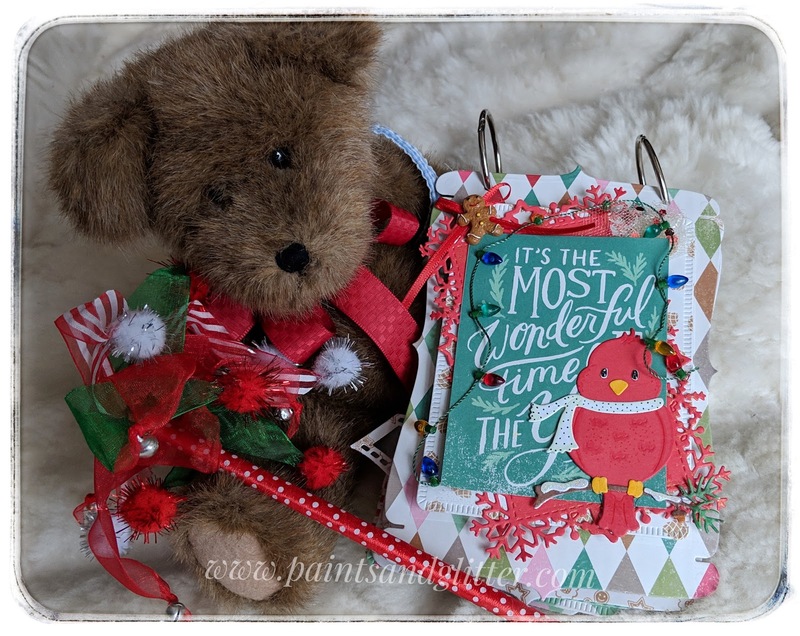 I used my Tonic Craft Kit #15 for this quick and easy project. This allowed me to cut out all of the pages I intend to use, as well as all of the journaling cards in one day! 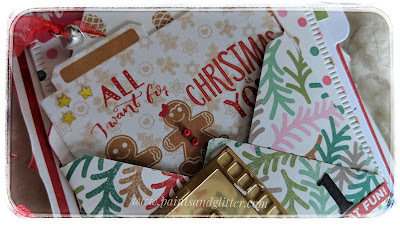 I began with the Authentique Colorful Christmas Collection, and some adorable dies from my stash. 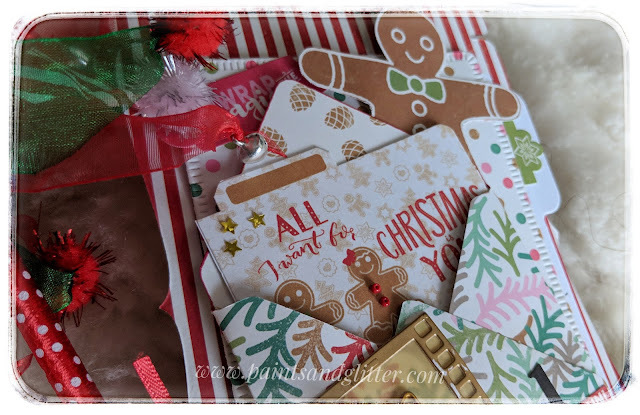 My cover has a cut-out from the collection, and I layered it onto a snowflake frame, as well as a photo mat die, and then embellished it with a gingerbread man, Vintage Christmas lights, and sequined tulle. 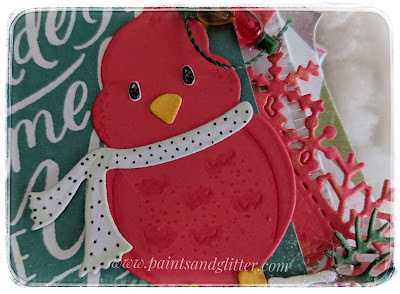 The Red Cardinal has a huge significance for me, so I incorporated him onto my cover. I wanted him to look extra special, so I spruced him up using red and black ink, as well as glossy accents. For my first page, I began with a little Gingerbread couple sticker from the collection. This is neatly tucked into a small envelope I created using the WeRMemory keepers mini envelope punch board. I found this little tool to be very handy with little leftover pieces of paper! With other stickers and die cuts, I created a scene, and my journaling card fits nicely behind all of it, as I created a pocket where it slides in perfectly!! 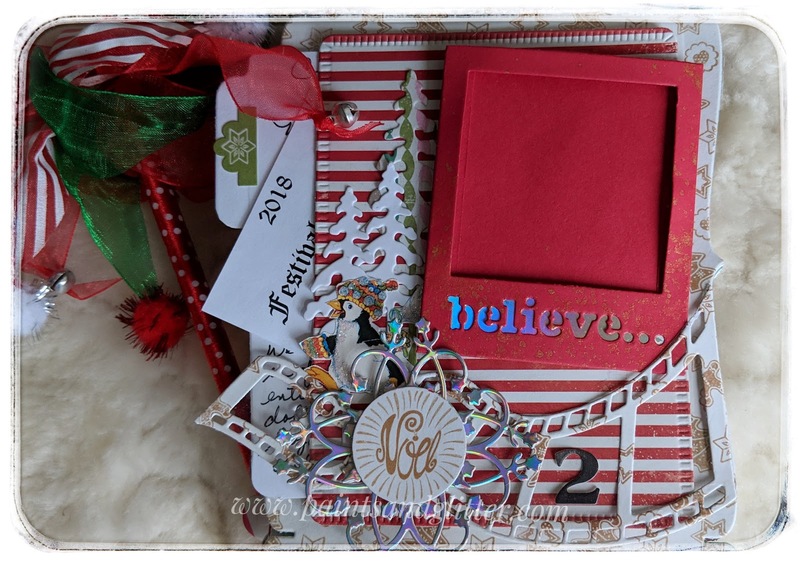 I also decided to use the Keepsake Book Maker Photos and Filmstrips die set. I think this will be the easiest way to add little pictures if I feel they are needed, and I love that it also includes phrases that fit perfectly in my little December Daily! 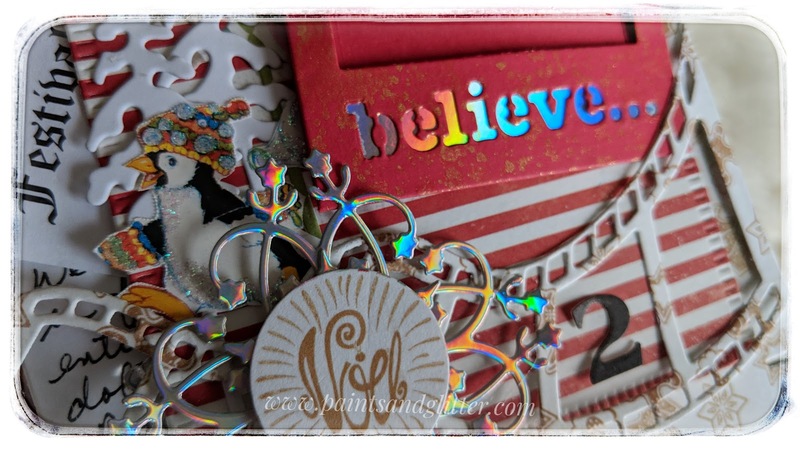 Here I have incorporated the Photo Die cut as well as the sentiment Believe, and the filmstrip along the bottom of the page. The penguin sticker was a gift from my hubby, and he fits nicely onto the page, adding sparkle with a trail of bubbles! Here is what the entire page looks like! Every piece is part of the happenings of that particular day, and pieces of ephemera also fit into the pockets I created using the photo mats and small gussets. I look forward to continuing this project, and hope to share each step with you! Watch the video if you prefer to hear the details! I hope that you can Be inspired, and Be Blessed! !